I've always liked the PSP hardware, but iterations like the PSP-3000 are failing to excite me. I just need something new. Unfortunately, Sony claims to not be working on a PSP sequel at this time. No, there are currently no plans for a PSP2. I go to Tokyo quite a lot and no one has referred to it...We just launched the PSP-3000 so we are still focused on this generation of the platform. Reeves goes on the discuss the platform's dichotic hardware success and software failure, admitting that even Sony's own development teams aren't creating titles for the PSP. 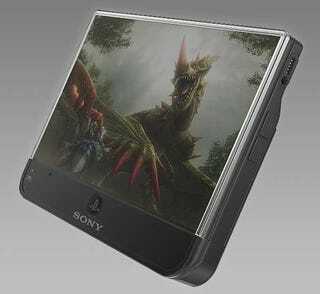 Though, it's pretty hard to believe that not one person in all of Sony is doing ANYTHING toward a PSP2 development.